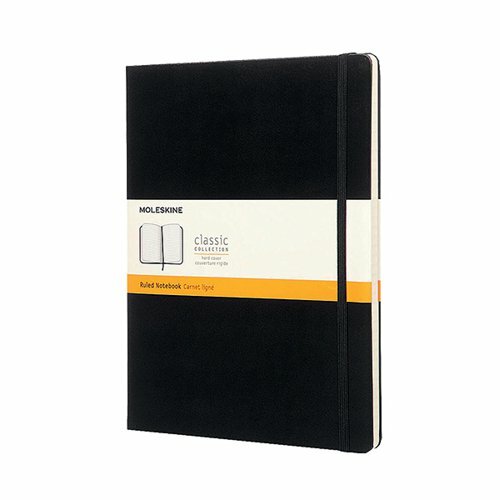 This stylish, professional Moleskine notebook contains 192 acid free pages, which are feint ruled for neat note taking. The hardback notebook is bound in cardboard with rounded corners and an elasticated closure for security. The notebook also features an inner pocket on the back cover for loose notes and a ribbon marker for quick reference. This pack contains 1 extra large black notebook, which measures 190 x 250mm.